Need to charge up your Mavic 2 battery and you don't have an outlet? With the Car Charger for Mavic 2 Pro/Zoom/Enterprise Batteries from DJI, you can recharge a Mavic 2 battery pack by using your vehicle's power port. The charger has a maximum power output of 80W, which can fully recharge your battery in approximately 1.5 hours. To help keep things safe while recharging your battery pack, DJI has incorporated both overheating and low-voltage protections. 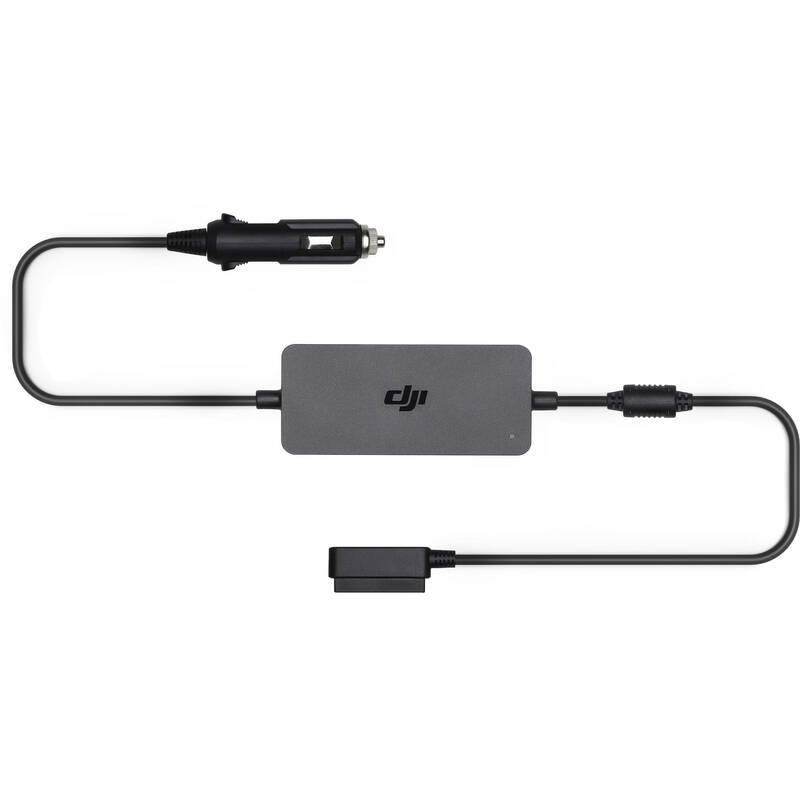 If you own the optional DJI Battery Charging Hub, you can use the Car Charger to deliver power to the hub, allowing you to charge up to four batteries at once via your vehicle's power port. Can you please explain why this is better/safer than plugging the included charger into a 12V AC inverter? Please use the recommended DJI accessories to avoid damage to your DJI aircraft.